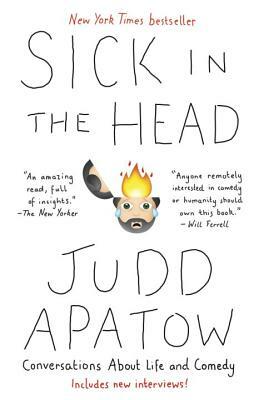 Judd Apatow is one of the most important comic minds of his generation. He wrote and directed the films The 40-Year-Old Virgin (co-written with Steve Carell), Knocked Up, Funny People, and This Is 40, and his producing credits include Superbad, Bridesmaids, and Anchorman. Apatow is the executive producer of HBO’s Girls. He was also the executive producer of Freaks and Geeks, created Undeclared, and co-created the Emmy Award–winning television program The Ben Stiller Show. His latest film is Trainwreck. He was also the editor of the collection I Found This Funny. Judd Apatow lives in Los Angeles with his wife, Leslie Mann, and their two daughters, Maude and Iris.